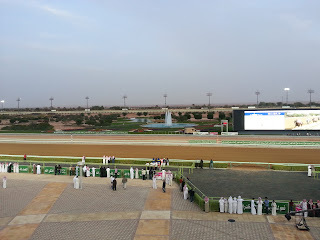 Last Friday we went to Riyadh equestrian club (sounds so posh) to watch the horse racing. I've never been to a racetrack before so it was quite exciting. It was nice to see something aesthetically pleasing in this city. Betting is, naturally, illegal in the KSA so we had to have a little bet of our own on our table. 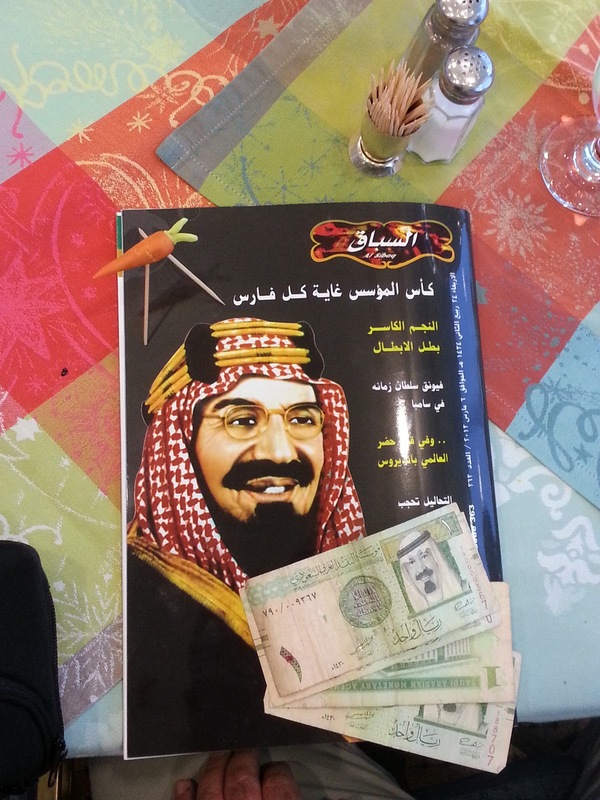 The lucky winner was to become the proud owner of the carrot of glory, the horserace guidebook and about 4 riyals (less than a pound). Exciting times! One does have to wonder exactly what the point is of a racecourse without gambling? I'm not the biggest fan of gambling but I can't deny it does spice things up somewhat. Otherwise, who really cares who wins? We soon realised that gambling would be a bit pointless anyway, even if it wasn't haram (forbidden). 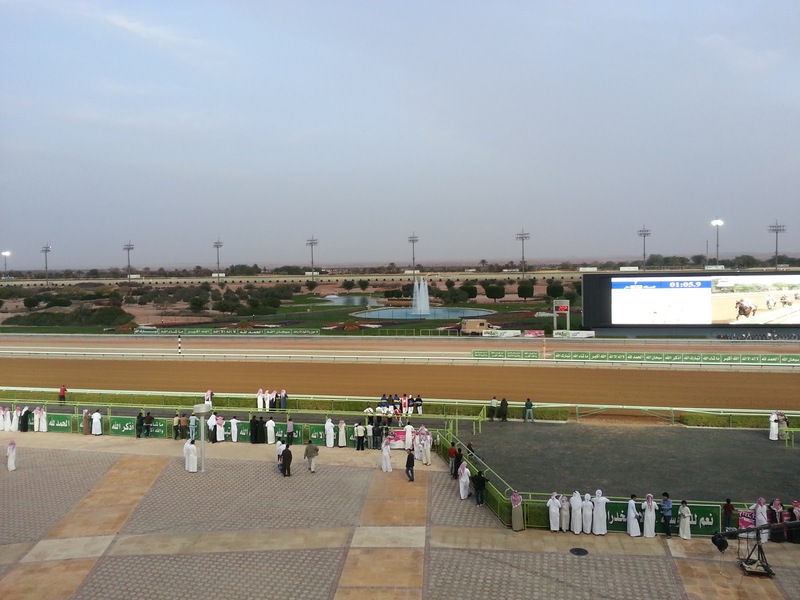 The winner of the first race we watched was a horse called Hattrick. We looked in the guidebook to see who it was owned by. Can you guess? Yes, it was in fact one of the Kings horses. A lucky coincidence? We paid close attention to the next few races and sure enough, the Kings horses won all of them. Takes the edge of the excitement somewhat, and also renders betting pointless. Evens anyone? I was reminded very much of one of my favourite Disney films, in which everyone has to make absolutely sure that a certain Queen wins the game of croquet, for fear of losing their heads. Could a similar situation be going on here? The King winning all the races. Check. People getting their heads chopped off. Check.